The perfect gig for our future president. Congress loves RuPaul’s Drag Race. First we got a workroom visit from the first female Speaker of the House Nancy Pelosi during All Stars season 3, and now we’ve got another history-making house member thirsting after a Drag Race gig. 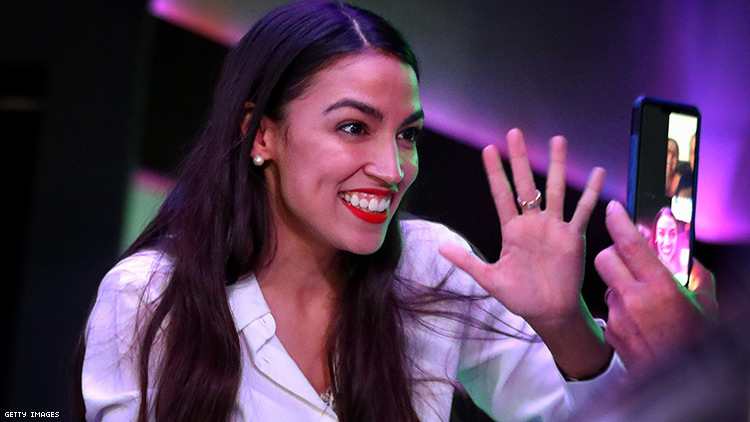 Alexandria Ocasio-Cortez, the youngest woman to ever serve in Congress, seems to be eyeing another job, saying it would be a “dream of [hers] to be a guest” on the show, in a Friday night Instagram live video. She must? The power that that would have. The intelligence that that would have. The brilliance that would have. The influence that that would have. The excellence that that would have. The talent that that would have. The impact that that would have. So could we see AOC on the upcoming (just-teased) Season 11? It’s very unlikely, with season eleven having filmed months ago, before AOC was a confirmed super-fan. Still, with the pace they’re churning out these last few seasons, it’s very likely that All Stars season 5 could be filming soon. Who knows! Or perhaps we wait it out for season 12? No matter when it happens, we just need a confirmation that it will happen. Please Mama, Ru. You’ve had a Speaker of the House, how about our future president next?